The West / Southwest Industrial Areas Foundation is a network of broad-based institutional organizations building power to revitalize our democracy for constructive social and economic change. We are part of the Industrial Areas Foundation, the nation's first and largest network of community organizations. Read below for recent victories. Click here for more extensive News Coverage. The stories heard in these meetings, and the leaders who emerged from them, formed an agenda AMOS took to the city manager and city council last Fall, asking them to include these items in an upcoming local option sales tax vote. In December, AMOS celebrated when the city council passed a spending resolution for the tax measure that included five key AMOS priorities and agreed to endorse the measure and get out the vote. For two months, AMOS leaders held civic academies, phone banked, signed up hundreds of people up to vote, and gave rides to the polls on Election Day. On March 5th, more than 70% of Des Moines voters voted YES on Measure A, the one-cent local option sales tax measure in the city of Des Moines. Turnout for the election was 20% higher than a similar effort last year that did not include AMOS priorities, and the margin of support for the measure was 30% higher this year than in previous years. AMOS worked with a diverse coalition of organizations who endorsed the measure, including AARP, the Central Iowa Taxpayers Association and the Firefighters Union. The results are particularly impressive considering efforts by a Koch Brothers-funded group to torpedo the measure with negative campaigning. 150 dilapidated and abandoned homes will be torn down or renovated each year across the city, a ten-fold increase over the 5-15 homes the city is able to address now. Des Moines will help fund the creation of mental health crisis services for children, with a commitment from the Mayor and other public officials to get these services up and running by June 30, 2020. The one-cent tax will also enable the city to maintain 13 firefighter positions, speed up the building of a new fire station on the northeast side of Des Moines, and make critical investments to improve streets, sidewalks, and sewers. As if that were not enough, on February 25th, the city council approved funding to install lights on the basketball courts at Evelyn K Davis Park — another AMOS priority. 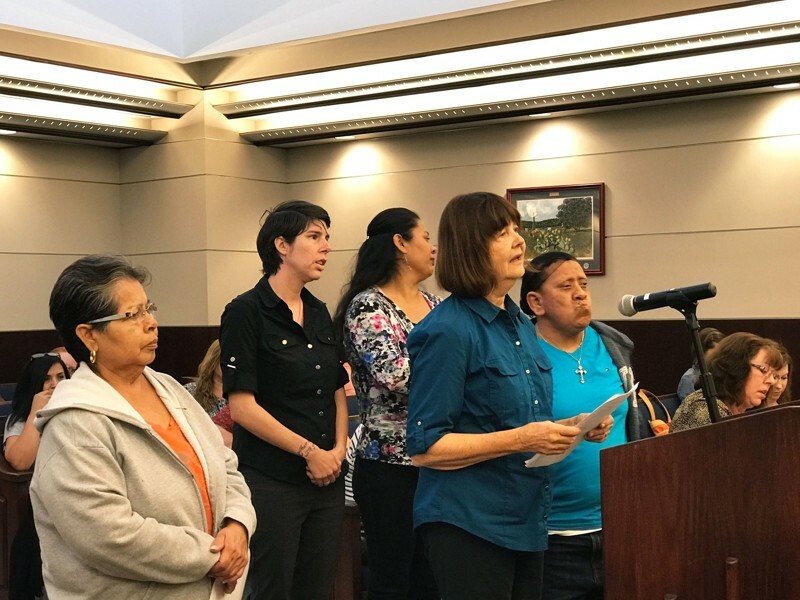 200 leaders of COPS/Metro, accompanied by Catholic Archbishop Gustavo García-Siller, descended upon San Antonio City Council chambers with a simple message delivered by Maria Tijerina: "We don't want a study. We want action." A study on displacement in San Antonio was scheduled to begin in 2020, but COPS/Metro leaders are calling for immediate action to prevent the direct and indirect displacement of neighbors. Said García-Siller, “They have lived simply, and with pride, in their homes, which have belonged in their families for decades.” He noted that the city gives incentives — tax rebates and fee waivers — to developers while homeowners who improve their own homes see their taxes rise. Tijerina argued that rather than conduct a study on the root causes of displacement, the city should consider COPS/Metro’s own recommendations (detailed in a recently published oped) which include increasing owner-occupied rehabilitation in vulnerable neighborhoods; a city-coordinated homestead exemption and property tax freeze and deferrals for residents older than 65; tax abatements for homeowners and land preservation for affordable housing. Immediately at stake was a $1 Million fund to help displaced and vulnerable residents. After its unanimously passage, COPS/Metro leaders called it "a good start." COPS/Metro leaders plan to engage Mayor Ron Nirenberg on further displacement prevention at an accountability session April 7th. 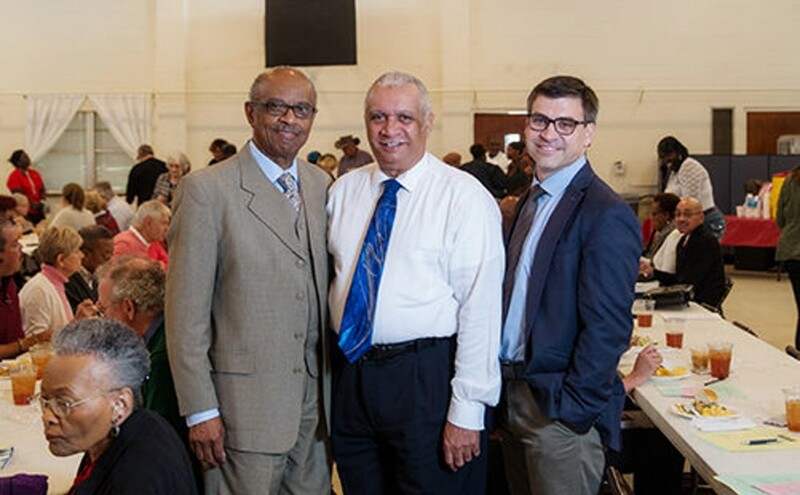 In photo at left, taken in 2014, over 300 COPS/Metro leaders publicly launched a "living wage and economic security" campaign to raise the living standards of public employees. 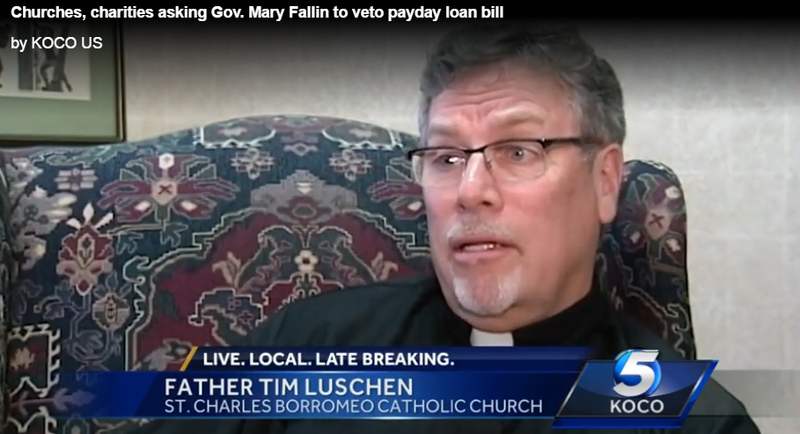 In 2014 photo at right, a St. Alphonsus Catholic parishioners tells a reporter that her daughter, a full-time Alamo Colleges employee, earned only $8.50 / hour without benefits or vacation. The $15/hour minimum represents a 30% increase over the previous wage floor. Alamo College representatives argue that raising the wage floor “supports the economic and social mobility of the families of the lowest paid members of the Alamo Colleges District workforce and the persistence of a growing body of students” employed part-time at the colleges. This position is consistent with what COPS/Metro leaders have argued for years. One year after a 200-person assembly in which COPS/Metro parent and community leaders called for the demolition of a crumbling building that made the Beacon Hill Academy playground unsafe for its students, parents (and children) celebrated a victory. The San Antonio City Council and Independent School District (SAISD) came to a negotiated agreement in which the building would be torn down in order to secure the playground and a new 'cultural heritage' curriculum developed for students. “It has been such a long process, and really our kids are even happier than us,” said Beacon Hill Academy parent and COPS/Metro leader Jacklyn Landaverde. In one long breath, the New York Times is calling it a "David vs. Goliath story in the Louisiana capital, where a grass-roots coalition of black and white churches...and ordinary citizens have successfully democratized a system that used to dole out billions in property-tax breaks without giving the local school boards, city council and other government entities that depend on those taxes any say in the matter." Together Baton Rouge says it's about understanding the difference between economic development and a tax giveaway. TBR leaders are building the political power to move elected officials and other community leaders toward understanding that difference. The most recent flashpoint occurred when leaders successfully persuaded the East Baton Rouge School Board to deny a $2.9 Million tax exemption request by Exxon Mobil (for work already long completed). Within days, Exxon Mobil withdrew additional tax exemption requests they were planning to make of the Baton Rouge Metropolitan Council. Combined, this resulted in $6 Million in public dollars newly available for schools and local government services, a victory that leaders deservedly celebrated. Their celebration, however, did not come without reflection. "Democracy can be a messy thing.... It’s less easy to have to weigh the benefits of exemptions against the cost of services those exemptions could fund. It’s less “streamlined” to have to distinguish between exemptions that are truly needed as incentives and those that are simply providing public subsidies for a corporation's routine costs of doing business. It’s also, we believe, the most important thing we’ve done for economic development in this state in 80 years." Together Baton Rouge leaders have been careful to publicly recognize and commend Exxon Mobil for other investments in the community, both in job training and donations to schools. Previously, Exxon Mobil received tax exemptions equal to more than 60% of taxable property through the 82-year old ITEP program which largely served as a rubber-stamping process for tax giveaways. Now, Exxon Mobil will be required to pay an additional $2.9 Million in school property taxes over ten years, and another $3 Million in property taxes to local government. After careful agitation by leaders of Marin Organizing Committee, the Marin County Board of Supervisors passed a 'Just Cause for Evictions' Ordinance with a unanimous vote. Leaders [in photo above] filled the County chambers in support of the ordinance which is expected to protect approximately 3,400 renters currently without protection from arbitrary eviction in Marin. In its coverage of the meeting, and the multi-year fight, Marin Independent Journal called Marin Organizing Committee "the leading voice calling for action to address the housing crisis." The Just Cause Ordinance was carefully crafted to provide protection to tenants without restricting landlords from acting to remove problem occupants. Evictions are permitted when tenants skip out on rent, breach rental contracts and or pose other problems. While the ordinance is limited to protecting only tenants in unincorporatedMarin, leaders are hopeful that the data collection incorporated in the ordinance will establish important evidence about rental conditions across the County. At the urging of One LA, the Los Angeles County Board of Supervisors voted to preserve and enhance healthcare for 146,000 low-income and undocumented residents. 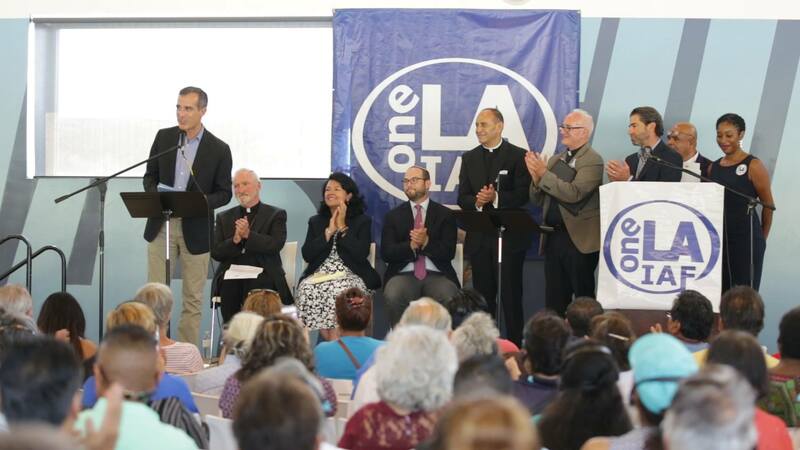 Several years ago, One LA was instrumental in the formation and implementation of My Health LA (MHLA). This innovative program provides health services to LA County residents who do not have access to other government health programs due to their immigration status. In November, the Board voted to authorize the Director of Health Services to execute agreements that will preserve and strengthen the My Health LA (MHLA) program. This will ensure that MHLA will continue to provide health services for over 146,000 people in LA County who do not otherwise have access to health insurance. The agreements ensure that access to vital preventative care services will continue and also include increased funding for community clinics. One LA leaders and allies from St. John's Well Child and Family Center, Clinica Romero and the Building Healthy Communities effort in Boyle Heights testified in support of the program's preservation. The Board of Supervisors also voted to direct the Director of Mental Health to come up with a funding plan for providing mental health services to MHLA patients at primary care settings. This is a major step forward toward increasing access to mental health services, which has been a big priority for One LA. Leaders recognized Supervisors Sheila Kuehl and Katherine Barger for introducing the motion, and the entire Board of Supervisors for addressing the need for increased access to mental health services. 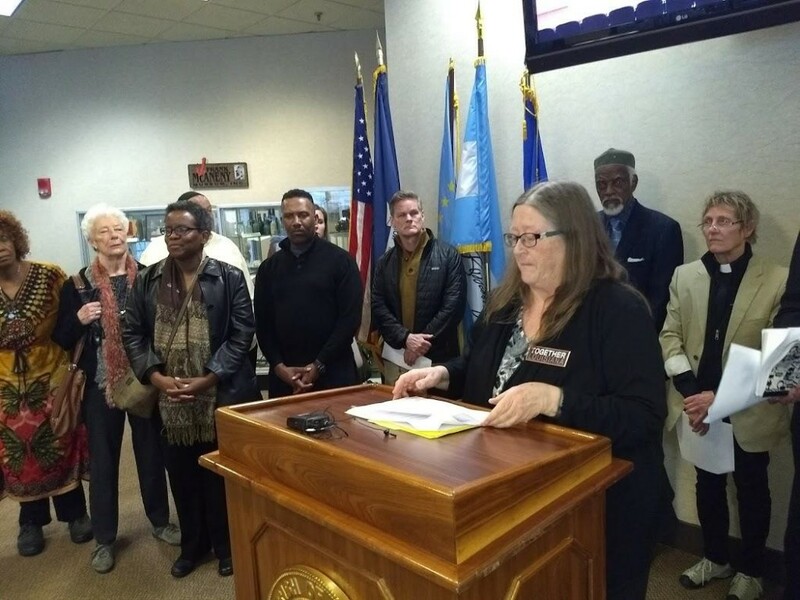 Over the course of the year, OTOC leaders mobilized 50 individuals who secured 3,500 signatures in the effort to get the initiative on the ballot. OTOC organized 17 civic academies in Omaha congregations and public libraries to help build an educated constituency and, in efforts to educate the public, published seven Opeds, including four in the Omaha World Herald. In the final days leading to the vote, the World Herald selected OTOC to counter final arguments by a team including the former Governor, Attorney General and a member of Koch Brothers Nebraska. 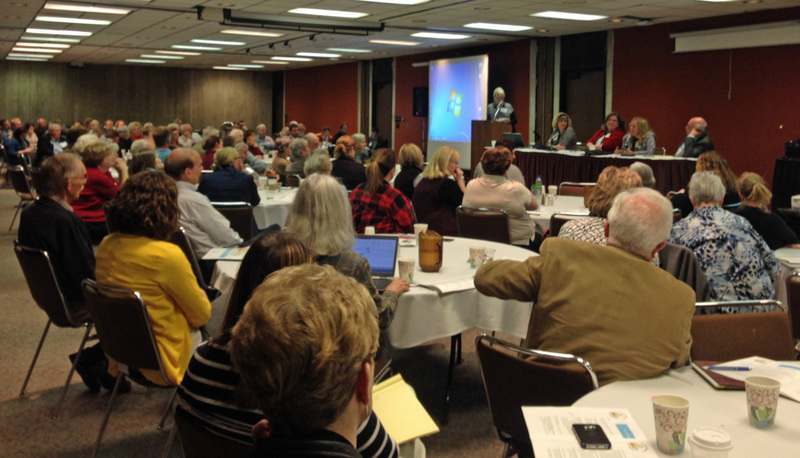 Leaders testified at State hearings, leveraged commitments from winning Congressional candidates to protect Medicaid Expansion if Initiative 427 were to pass, and organized a fall accountability assembly in which all seven Unicameral candidates committed to implementing Medicaid expansion. Initiative 427 won with a margin of 41,594 votes statewide. Counties where OTOC focused -- Douglas and Sarpy -- were critical to overcoming vote deficits elsewhere. In Douglas County, alone, 111,630 residents voted FOR Initiative 427, approximately one third of the statewide total, and far exceeding the margin of victory. OTOC leaders are now turning their attention to implementation of Medicaid expansion, to ensure it reaches those who most need it. In North Dallas, for example, two thousand DAI leaders -- many from Carrollton and Farmers Branch -- invited candidates for House Districts 114, 115, 105 and 107, and Congressional District 32, to commit to investing public funds in local labor market intermediaries, crafting immigration reform that would end the separation of children from their parents at the border (and include protections for DACA youth), cracking down on predatory lending, and repealing Senate Bill 4. Hundreds more from Austin and Hayes County challenged candidates for US Congressional Districts 25 and 21, and State House Districts 47, 45 and 73 to publicly pledge support for similar priorities, including the defense of local control over municipal housing and labor policy. In Helotes, just outside of San Antonio, COPS / Metro leaders carted out boxes with thousands of postcard pledges by voters to participate in the election of US Representative for Congressional District 23, which extends to the outskirts of El Paso, and State Representative for House Districts 117 and 118. 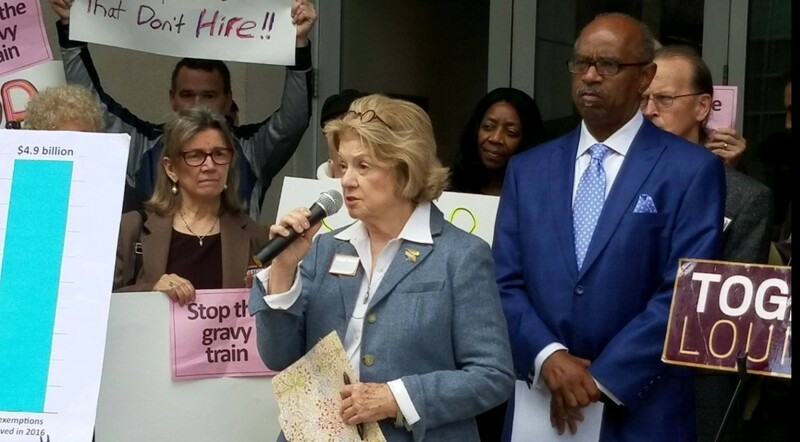 In Houston, TMO organized assemblies with candidates for US Congressional District 7 and 29; House Districts 144, 133, and 135; and Senate District 17. According to The Advocate: "As they have at several previous meetings, employee groups — Louisiana Association of Educators, the Louisiana Federation of Teachers, Service Employees International Union and the East Baton Rouge Bus Driver’s Association — pressed once again for raises for all the district employees. The groups have joined forces with the faith-based group Together Baton Rouge to press the issue as well as to push the school system to reject all future requests from manufacturers for property tax breaks via the state’s 80-year-old Industrial Tax Exemption Program. They want the school system to use any ITEP savings to increase employees pay." 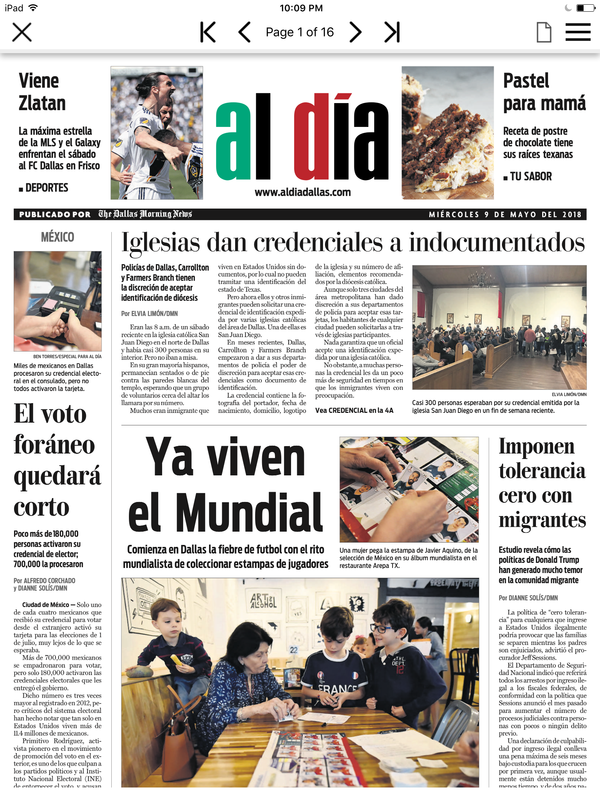 Less than four months after Valley Interfaith delivered 10,000 letters calling on Rio Grande Valley lawmakers to take action on DACA, US Congressional Representatives Filemon Vela (D-Brownsville) and Vicente Gonzalez (D-McAllen) announced they will sign a petition in an effort to force the House to take up immigration bills. Both said they would sign Discharge Petition #10, which will set up a "Queen of the Hill" process to consider four bills that would address the uncertain status of DACA recipients. The bill that receives the largest number of votes in support will pass. In a statement, Vela credited his decision to "consultation with Dreamers, their parents, clergy and Bishop Daniel Flores." Valley Interfaith, with Bishop Daniel E. Flores of the Catholic Diocese of Brownsville, successfully lobbied the two congressmen. Said Pastor Bill Duke, "with Reps. Vela and Gonzalez joining onto the discharge petition, we are still 3 signatures shy of the 218 needed to bring this to the floor. We are discouraged that Congressman Cuellar has maintained his stance and urge all residents who live within his district to call him and urge him to support the discharge petition. As pastor of First United Methodist Church in Mission, I call on him to support the Discharge Petition and to let democracy work!" After thanking Valley Interfaith for keeping "a congressional solution to the DACA situation at the forefront of the local community," Catholic Bishop Daniel E. Flores acknowledged that the road ahead is very long. But he reaffirmed, "This is a commitment to our young people that they are not alone â€” to give them the opportunity to do what they want to do to share their talents for the good of the whole community....We seek a permanent solution to the limbo so many (Dreamers) are going through right now." Together with the Dallas Catholic Diocese, DAI is standing with the Mejia family -- including Adolfo's wife, Lucia, and six US-born children. "This is not a time for isolation," said DAI organizer Socorro Perales, who went to immigration court with the mother. "This is a time to build relationships. It is not over yet." Years ago, AMOS initiated conversations with families about what was needed for local youth. The answer that emerged was surprising: a large, well-developed skate park that could provide multiple outdoor recreational activities. For years, skateboarders had turned a public plaza into an ad hoc skatevpark, sometimes â€” to the consternation of police and adults â€” turning sculptures and handrails into skateboard ramps. AMOS leaders identified a location in Des Moines and leveraged resources for the park design -- which, when built, will be one of the largest in the United States. 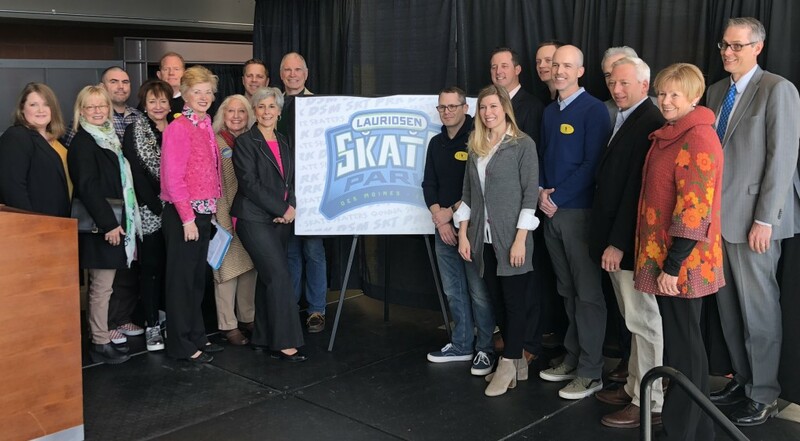 The $3.5 Million skate park is now $1 Million closer to construction, thanks to the generosity of a local family foundation. AMOS celebrated the advance in a press conference, and expects the project to break ground in early 2019. 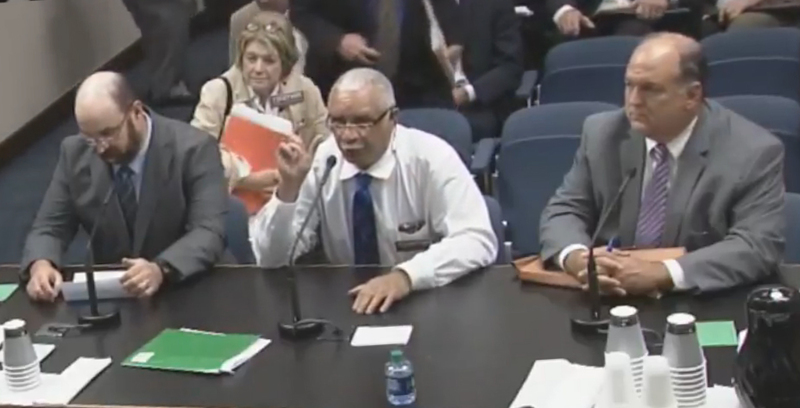 NCLI and Together Louisiana have worked hard to bring public accountability to tax exemptions under this program, helping make it possible for local taxing bodies to decide for themselves whether or not to forgo the public funds involved. Caddo Parish School Board joins the Caddo Parish Sheriff to become the second public entity in Louisiana to use that power judiciously. Three years prior, Valley Interfaith leaders signed up 1,000 new voters to a community-driven agenda that included the construction of a new library in low-income Las Milpas, the organization of a nonpartisan accountability assembly at one of the local churches and an election upset that replaced a non-responsive mayor and city commission with a slate of new officials that understood what they had to do to stay in office. The first meeting of the new City Commission in 2015 included all of Valley Interfaith's 6-point agenda and was passed with overwhelming support. Said the then-new Mayor Ambrosio Hernandez, "Valley Interfaith has a machine in place and I want to be re-elected. Let's build this library exactly how the community wants it." The library opened in 2018 to community acclaim. City Commissioner Ramiro Caballero declared, "What VIF leaders did here in Pharr, we need you all to go out and train other citizens in other towns, cities, and county commissioner districts, and teach them to do what you did here with Pharr." 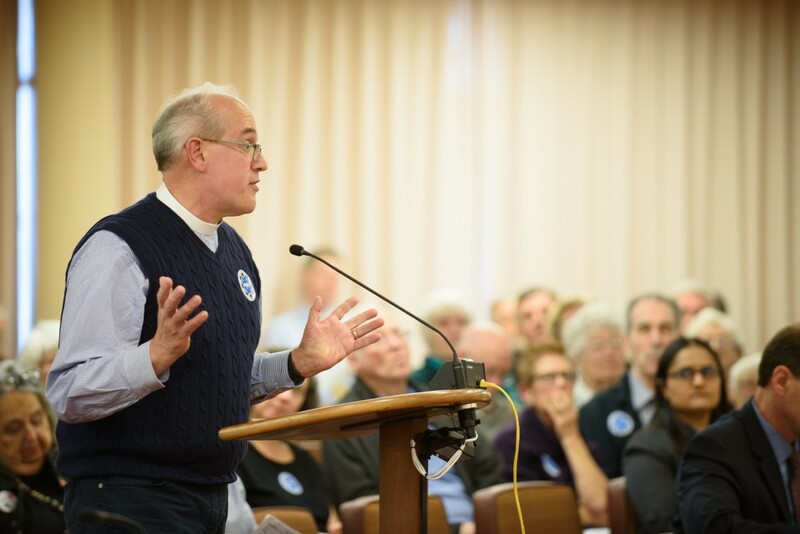 On December 12, in response to pressure from MOC leaders, the Marin Board of Supervisors unanimously voted to support a mandatory mediation program for renters. The ordinance will require mediation when requested by a tenant or landlord for rent increases exceeding 5% per year. The ordinance would apply to unincorporated areas of Marin County which include approximately 8,300 renter-occupied units. About 1 in 4 of those renters pay more than 50% of household income on rent. 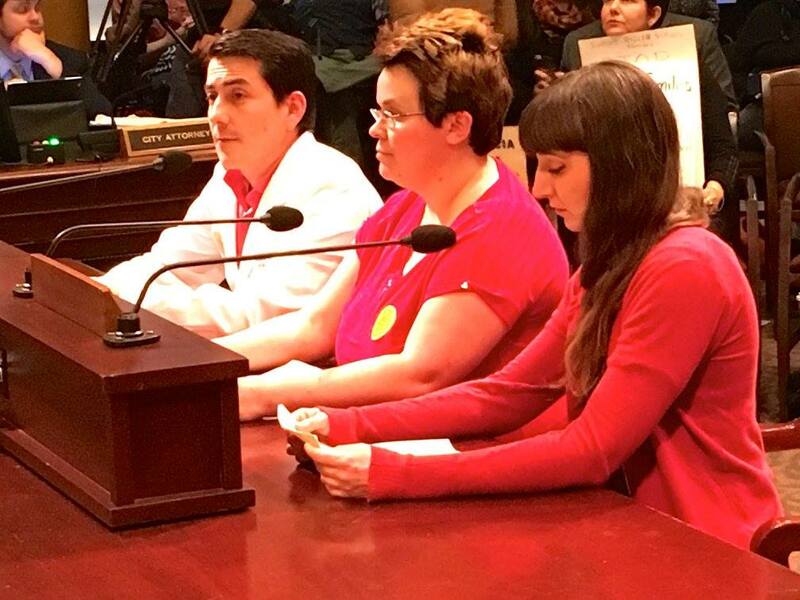 70+ members of MOC attended two hearings, speaking in support of this much needed program. "From our perspective, housing is not merely another commodity," said Rev. Thomas Gable (featured in above photo), "stable, affordable housing is the bedrock of life and well-being". While MOC considers this an insufficient step toward meaningful protections for renters, leaders are pleased that this mandatory mediation ordinance passed. They plan to continue pressuring the Board of Supervisors to pass a Just Cause Eviction ordinance as well, out of concern that without such an ordinance, renters will be too afraid to ask for mediation when faced with a rent increase, since they could then be evicted without cause. Pressure and presence from the Marin Organizing Committee helped advance the time frame in which Supervisors will consider a Just Cause eviction. Rather than wait a year, as originally intended, the Board directed staff to craft a plan for increased code enforcement and community education within three months, and then again in the second quarter of 2018 with a draft Just Cause eviction ordinance. MOC is continuing to work for similar protections in cities throughout Marin County where the majority of renters reside. "Years back, when we went with 40 or 50 people and packed the city commission, Carmen Lopez, other leaders, and our youth, spoke before the commission," Anaya said. "Carmen was reminded she had three minutes to speak. When she was speaking, very eloquently in Spanish, she was interrupted by the previous mayor and told, can you speak English. If not, you need to sit down. That, in itself, gave so much anger to the community. We knew there was only one thing we could do and that was educate our voters and go out and vote." The education of voters came through house meetings and accountability sessions, Anaya explained. "The community came together and identified issues that mattered to the families, and particularly to the youth. We told the elected officials, we need parks, a library, a place to gather. At a key accountability session, two of city commissioners did not show up. One of them lost by 12 votes, the other by 40," Anaya said, referring back to the 2015 city council election campaign. Said Pharr Mayor Ambrosio Hernandez: "All of Las Milpas is transformed, thanks in large part to Valley Interfaith. 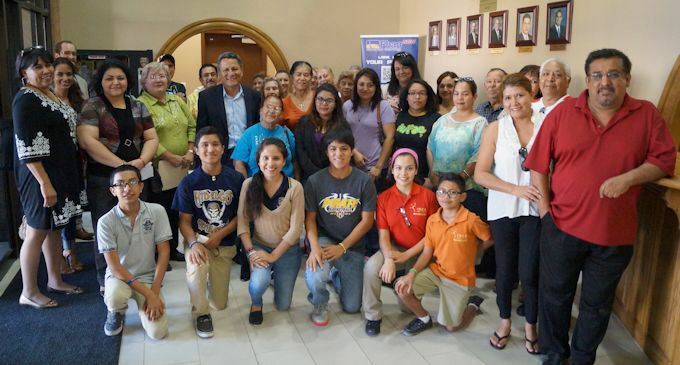 This group played a critical role in identifying the improvements the City of Pharr had to make, and I am sure they have done it throughout the Rio Grande Valley." 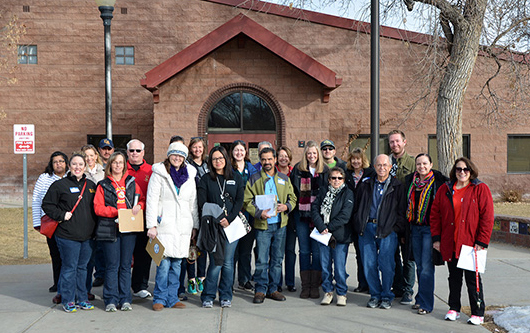 One year ago the Colorado IAF, Brighton Education Association and Northern Hills Church initiated an organizing campaign at North Elementary School, the lowest ranking of all schools in the 27J School District. Over the course of the year, North demonstrated the largest improvement in academic scores of any school in the district and one of the highest in the state (see article below). As a result, North changed its academic status from "improvement" to "performance." Leaders initially began by developing individual relationships between congregational members and educators, and then reaching out to parents through neighborhood walks and pancake breakfast gatherings. Together, they succeeded in establishing a before- and after-school care program for students and an intensive tutoring program that matched community volunteers -- mostly from Northern Hills Church, with students demonstrating the greatest academic need. North Elementary staff additionally pursued internal changes including the reorganization of instructional teams and changes to the Master Schedule to better incorporate literacy and math blocks. School-based leaders expressed pride over the dramatic improvement in academic achievement and gratefulness for the partnership with Northern Hills Chapel. More than 1,500 immigrant leaders filled the sanctuary at Mary Immaculate Catholic Church in Farmers Branch in a standing-room-only assembly of leaders across multiple faiths and denominations. Three women shared stories of anti-immigrant abuse and community fears about reporting crimes to the police while lacking access to state-issued IDs. Friar Luis Arraiza of Nuestra SeÃ±ora de Lourdes and Fr. Mike Walsh of from Holy Trinity explicitly challenged the chiefs of Farmers Branch, Carrollton and Dallas Police Departments to publicly commit to accepting parish identification cards as a means of identifying oneself during a police stop. All three said, 'yes,' to thunderous applause. The largest applause, however, was reserved for Catholic Bishop Edward Burns who pledged, "the Church will do whatever it needs to do to stand with immigrants." Nine years prior, Farmers Branch was best-known for being the first Texas city to pass an anti-immigrant ordinance, which included fines for landlords renting to undocumented immigrants. The police department paid a price in community trust -- one motivation for publicly pledging to accept parish IDs. 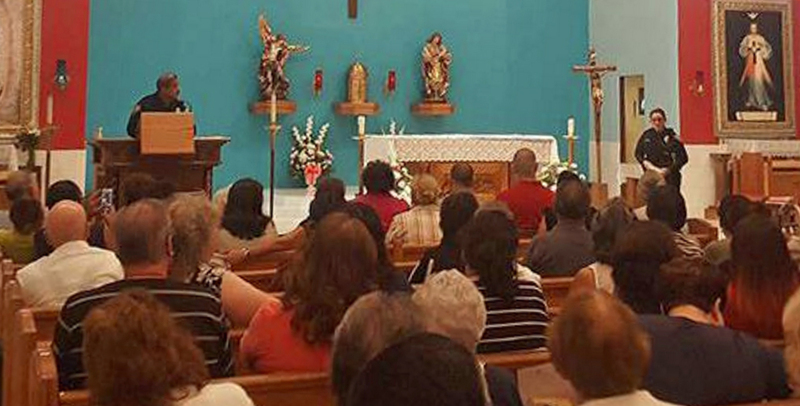 On October 6th, as thousands of Harvey survivors spent hours in line attempting to meet the deadline for emergency food aid, the Disaster Supplemental Nutrition Assistance Program (D-SNAP), TMO leaders organized a press conference at Our Lady of Guadalupe Catholic Church to demand an extension of the deadline for families. Said Fr. SimÃ³n Bautista, "For two days in a row got in line at 6 a.m. and by the time she was seen, around 7 p.m., she was told that her last name was not being seen that day. She returned at 3 a.m. to find that 10 to 15 individuals were already in line. These individuals and families have been waiting in the heat, missing work and some still haven't received the benefits." More than one week later, state officials announced a three-day extension of the deadline for families to enroll. TMO leaders expressed pleasure at the news of the extension, and recognized Congresswoman Sheila Jackson and Commissioner Rodney Ellis for their role in securing that extension. Leaders are now celebrating that the three-day extension permitted more than 27,000 additional families to enroll in D-SNAP, resulting in the award of $27 Million in food aid for Harris County Harvey survivors . Said Fr. Albert Zannatta, "Matthew 25:35 reads: for I was hungry, and you gave me something to eat. These words of Christ spurred TMO to call for an extension.... TMO will continue to work until all have received the recovery they need." California Episcopal Publication: "Blessed Are the Organizers"
"The Gospel was never meant to be a private affair of the heart alone, so learning the skills taught in Industrial Areas Foundation's community organizing program, of building public relationships and community modes of interaction, is in keeping with the mission impulse found in CDSP's curriculum." The Church Divinity School of the Pacific is the only Episcopal seminary on the West Coast. 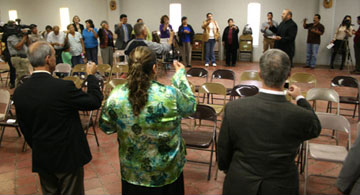 Each year, it sponsors a community organizing training in collaboration with the IAF. 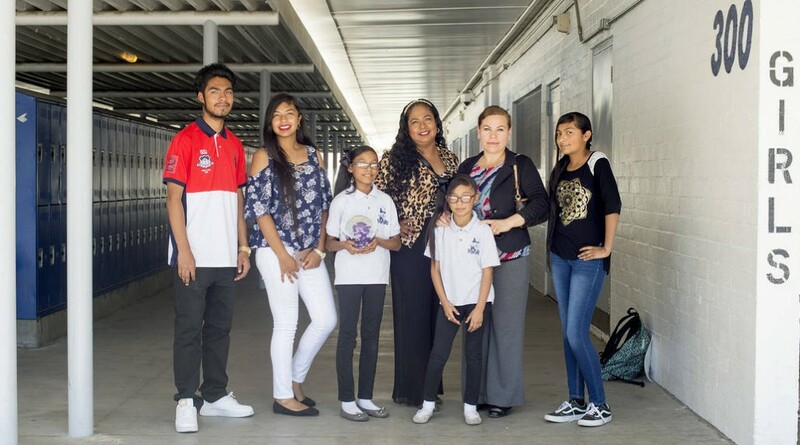 When Maria Elena Manzo (upper left photo), an asthma educator from Sacred Heart Catholic Church, first discovered that children of Monterey County undocumented were unable to qualify for free life-saving asthma inhalers -- and that those in Santa Cruz county did -- she immediately reached out to COPA-IAF. She and other COPA leaders organized hundreds of conversations over the next few years to build the political will, first for a $500,000 county-funded pilot project providing basic healthcare services to undocumented families, and now for Esperanza Care. Esperanza Care, is a $2 million program that will expand the pilot primary and preventive care program to make it more comprehensive and available to more people. It will also provide access, for the first time, to outpatient services at neurology, diabetes, heart and dermatology clinics. "Esperanza Care is a step in the right direction," says Manzo, adding "hundreds of conversations in churches, schools and community institutionsâ€¦speak to the need. We must continue these conversations and work so that all people have quality healthcare access." Said District 4 Supervisor Jane Parker, "COPA comes up with ideas and invites the county to participate. We worked together to put togetherâ€¦the pilot program and now Esperanza Care." 200 leaders participated in the celebratory event. Working Together Jackson (WTJ) collaborated with member institution Mississippi Association of Educators and Mayor A. Chowkwe Lumumba to prevent a hostile takeover of the Jackson Public School System by the state of Mississippi. WTJ worked with leaders, the Mayor and others to reach a compromise with Gov. Phil Bryant to develop the Better Together Commission and a totally new School Board to avoid the takeover. Four WTJ leaders are now on the Commission and new school board, planning for long-term reform. Houston Mayor Sylvester Turner and Texas Senator Sylvia GarcÃ­a joined TMO in calling on landlords to extend a 30-day grace period and to refrain from charging renters' fees and penalties following the devastation left by Hurricane Harvey. According to TMO, some landlords use computerized systems that automatically charge penalties for late payments regardless of Houston being in post-Harvey recovery. Rev. Ed Gomez of St. Paul's/San Pablo Episcopal Church shared stories of tenants who work in the service industry and, due to the storm, missed days of work and are now unable to pay their rent at this time. "People are not asking for a handout but a hand up as we get through this difficult time," he said. Turner, Garcia and other TMO leaders were forceful in urging undocumented immigrants not to shy away from assistance for fear of being asked for papers. 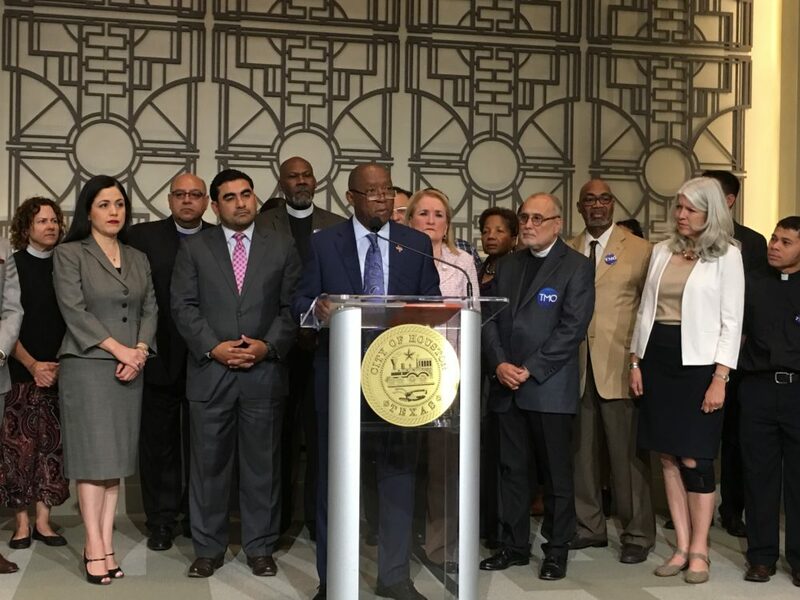 Said Mayor Turner, "We are not going to tolerate anybody in this city being victimized because they may be poor or because they may be undocumented or because they may not speak the language. We expect people to treat people right, with dignity and respect." As the city reduces the backlog to fewer than 100 condemned homes, OTOC also challenged the Mayor and City Council to turn its focus to rehabilitating houses with code violations, even while pressing City Council to begin requiring the regular inspection of all rental properties. Over 20 years ago, a developer in the City of El Paso bought acreage in a plot of land, an undeveloped "island" landlocked by, but not included within, El Paso's municipal lines. 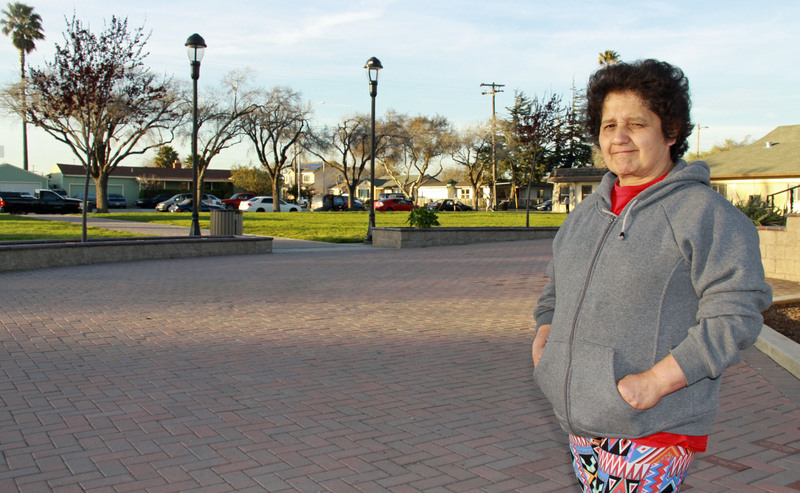 The developer recorded the purchase with the County, but then -- unbeknownst to anyone -- illegally partitioned the land and sold the reduced-sized lots to low-income families without providing certificates of occupancy. Some of the families from this subdivision who were members of St. Patrick's Catholic Church expressed their struggles at a house meeting convened by Fr. Pablo Matta, and later partnered with Border Interfaith to bring infrastructure to their colonia. While working with the families, Border Interfaith leaders discovered the unauthorized nature of their tenancy and soon after began organizing to explain to the county why they didn't have certificates of occupancy. Their first victory consisted of compelling the County to formally recognize and register their occupancy in County records. The fight for the extension of city water lines into the neighborhood continued as they organized to request funding from the Texas Water Development Board and financial assistance from the Economically Distressed Areas Program. Unfortunately, they received news that the state funding was depleted. Finally, after many obstacles, the second victory came when Border Interfaith and EPISO approached the CEO of the El Paso Water Utilities and requested the authorized expenditure of $2 Million from the Public Service Board budget to extend public water utility lines into Norma-Georgia-Seventh-La Mesa. Together, the CEO and the leaders worked to secure the necessary votes from the Public Service Board, and on February 8, 2017 the Board voted unanimously in favor of the $2 Million funding. Construction is programmed to begin in October of 2017. See Texas Standard reference to prior success in the colonias . Four months after a nonpartisan accountability assembly in which 750 COPS / Metro leaders secured public commitments of support for senior housing rehabilitation from city council candidates, the San Antonio City Council unanimously voted to support the allocation of $6.5 Million during the next year. This represents a 261% increase in funding and will allow the city to rehab 81 homes in the next fiscal year, compared to 25 in the current year. Said COPS / Metro leader Shirley Ellis of Holy Redeemer Catholic Church, "It is now time for the 'Decade of Neighborhoods.' Instead of investing in developers, we should invest in homeowners -- homeowners who have invested their lives into this community." 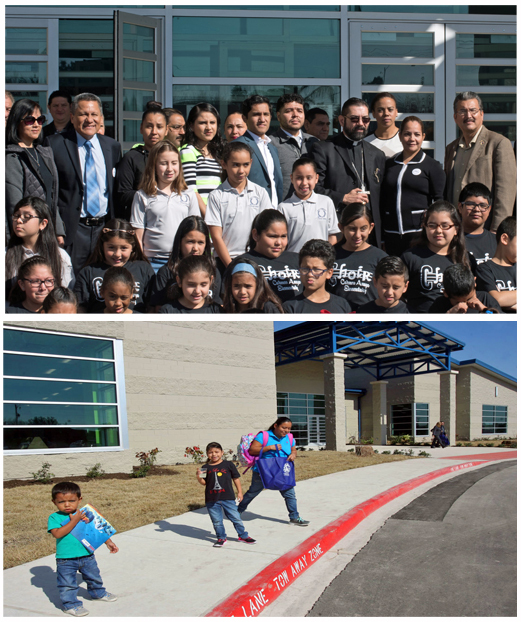 Last April, Mayor "Nirenberg and council members Roberto TreviÃ±o, William "Cruz" Shaw, Rebecca Viagran, Rey SaldaÃ±a, Shirley Gonzalez and Ana Sandoval all publicly committed to boost funding for rehabilitation. According to the San Antonio Express-News," Then Mayor Ivy Taylor did not attend the accountability session, nor would she make the same commitment." 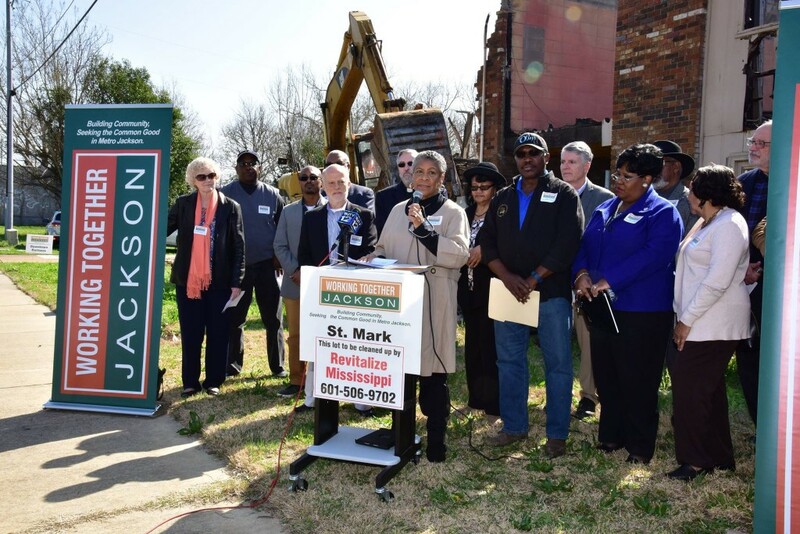 Two years ago, after Kroger announced the closure of a South Jackson grocery store, Working Together Jackson leaders rallied behind the laid-off workers and made a public commitment to fight for its replacement. 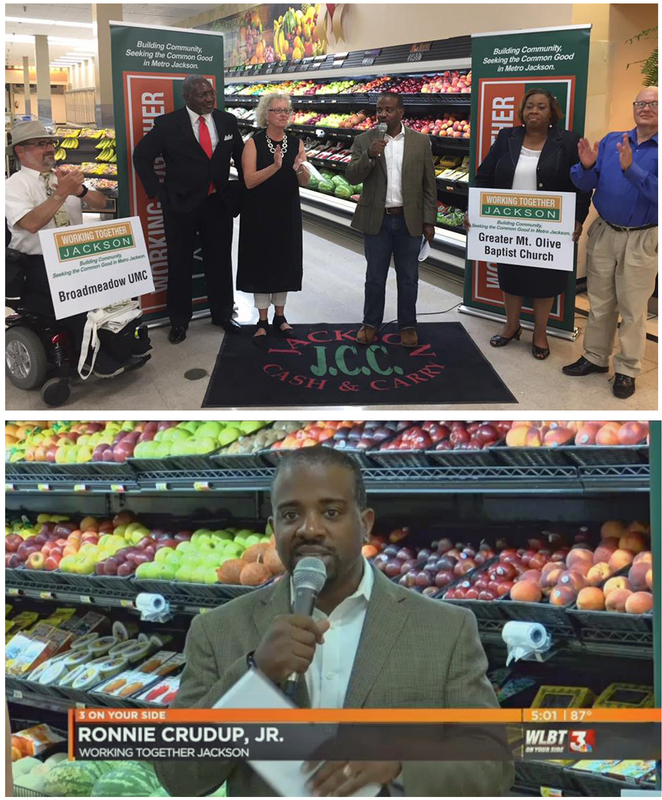 Due to the creativity and persistence of Working Together Jackson leaders, a Jackson Cash and Carry grocery store opened in its place -- tangible fruits of local efforts. Rev. Ronnie Drudup Jr. announced that the organization wants to not only "support this store, but all" stores across Jackson. "We've got to make sure we bring high quality fruits, vegetables, and produce all around the city of Jackson." 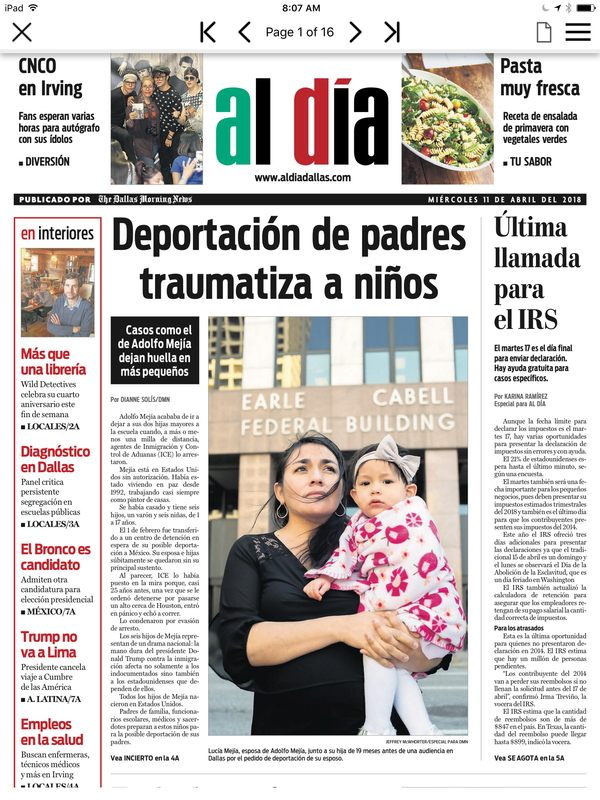 Regarding the treatment of 190,000, mostly women and children, crime victims awaiting U-visas, Sheriff Jim McDonnell committed to working with One LA and the Archdiocese of Los Angeles to place a stay on their deportations. The assembly took place even as Dallas Police Department interviews for a new police chief are underway. Said Minister Jonathan Morrison of Cedar Crest Church of Christ, and DAI representative on the interviewing panel, "I think there is always progress anytime there can be first real dialog and conversation and when communities can begin to share of their struggles and we begin to see commonality in our struggles." At the urging of COPA leadership, the Board of Supervisors of Monterey County unanimously voted to quadruple the size of COPA's healthcare pilot project from $500 thousand to $2 Million on an annual basis. 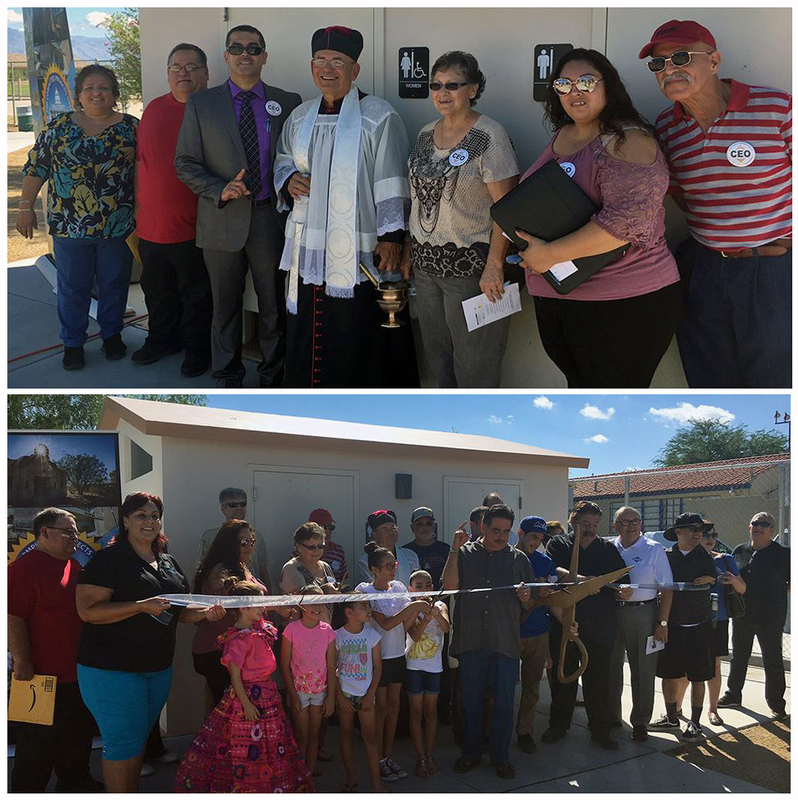 Said Catholic Bishop Richard Garcia, "This has been a success because of the strong belief and labor of so many of our COPA members and our many great leaders representing our various communities!" The real story is the persistent leadership demonstrated by leaders who are also future beneficiaries -- immigrants concerned about their families and neighbors. These leaders organized hundreds of meetings in parishes and neighborhoods, participated in strategy meetings and publicly shared their story at Board meetings. 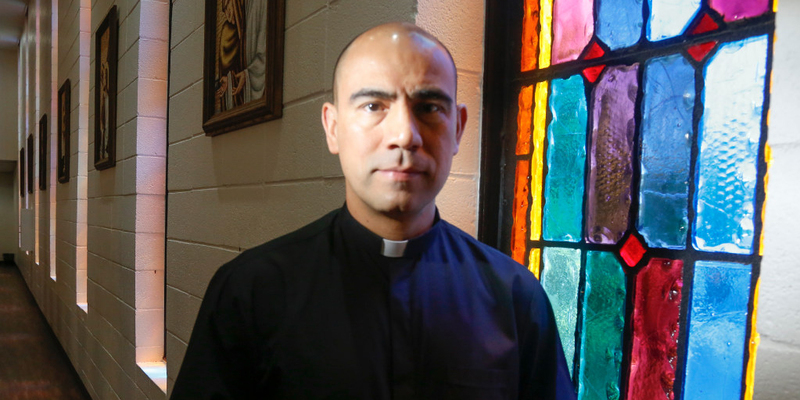 Said leader Tony Jara of St. Francis Xavier Catholic Church, "This program will allow me to , so I can work and care for my family without experiencing ...constant pain. It gives me great joy to work towards something that will help others in a similar situation." After years of fighting for better regulation of waste management industry in Pomona, Inland Communities Organizing Network (ICON) celebrated a unanimous City Council decision to ban new trash processing stations. The ban prohibits new businesses from moving into Pomona and prohibits any expansion of current establishments. ICON leader Reverend Julie Roberts-Fronk of First Christian Church testified that "since 2011, our leaders have come to the city council, planning commission and city staff. The overwhelming sentiment among residents was and continues to be 'enough, no mas! Fix this." The effort initially grew out of an ICON "Don't Trash Pomona" campaign, begun by member congregation First Presbyterian Church, in which leaders succeeded in negotiating a 33% reduction of trash processed at the plant and conversion of company trucks to CNG alternative fuel. Said Lisa Engdahl of First Presbyterian, the ban "communicates to the region that it is not business as usual in Pomona; we have high hopes and expectations for our city...we will no longer be the region's dumping ground." Fresh from a state legislative victory allowing the criminalization of SPICE, Southern Arizona Interfaith leaders succeeded in persuading local policy makers to pass a city ordinance against the nasty synthetic drug. Tucson City councilmembers listened intently as leader Christina Crawford described how SPICE gave her son seizures and spasms, and as Msgr. Raul Trevizo and other leaders described finding vomiting and passed out youth on St. John the Evangelist church grounds. Councilmembers praised the team for their persistence over 18 months, before unanimously voting to include the new chemical in a Tucson drug ordinance. Reporters captured the standing ovation Southern Arizona Interfaith leaders delivered to the Council upon passage of the ordinance. Said leader Lorena Santos, "Look what we can do when we work together! This is just the beginning!" Said study co-author Mark Elliott, "Other programs have had large earnings impacts, but they haven't taken people completely out of poverty into the middle class....This is a stunning achievement." 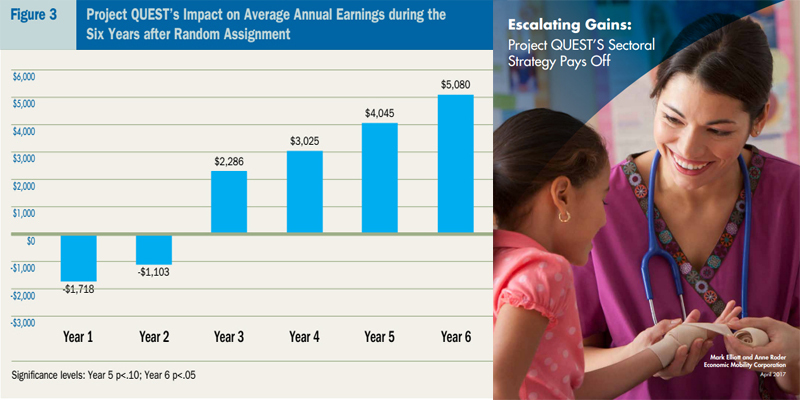 This "gold standard" study is said to be the first in the nation to show sustained, statistically significant increases in participant's earnings (and employment) over time. When neighborhood users of SPICE, a synthetic marijuana with side effects including seizures and disorientation, began walking into traffic and collapsing on church and school grounds, leaders from St. John the Evangelist Catholic Church stepped into the void to identify solutions. Church leaders, in collaboration with Southern Arizona Interfaith, soon launched a campaign to "Give them Food" in addition to collaborating with local law enforcement and county health department to educate the community about the drug and prevent its sale. 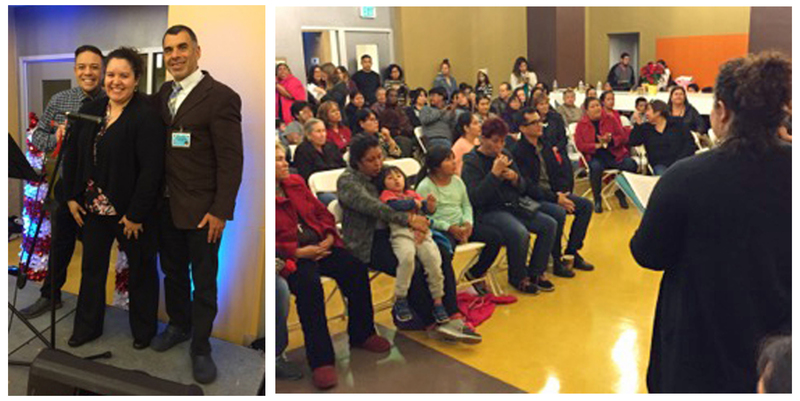 Over 250 area residents attended one of the community meetings. 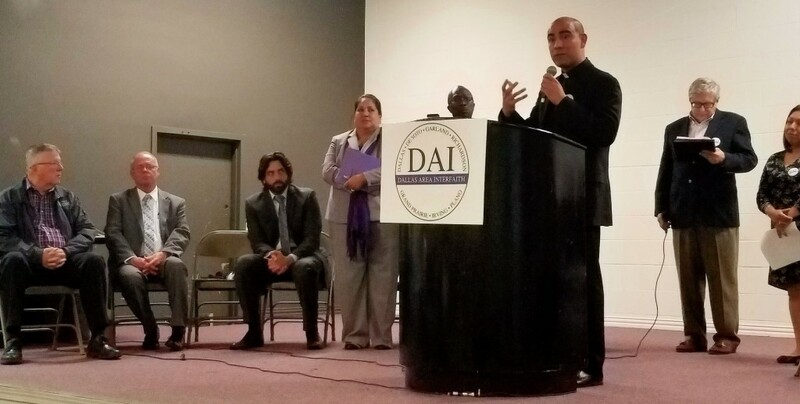 In fall 2016, SAI and Pima County Interfaith hosted a nonpartisan accountability session drawing more than 500 leaders to address several issues, including SPICE. 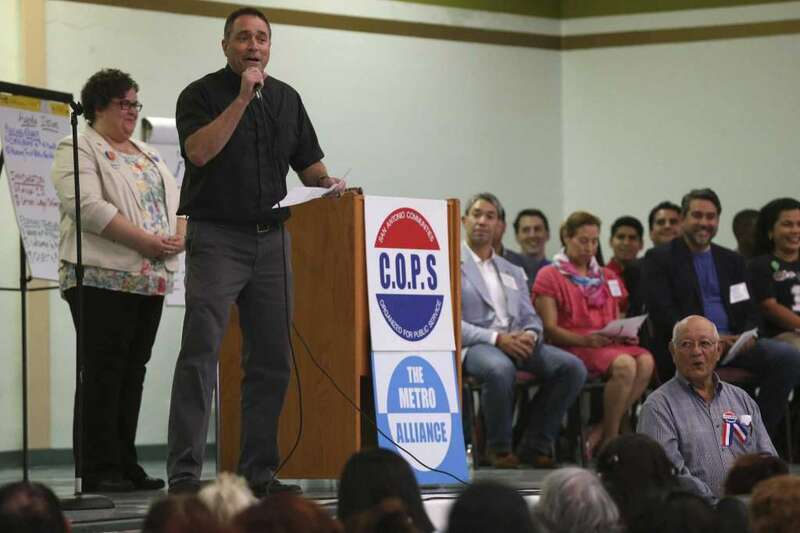 In front of hundreds of voters, candidates promised to introduce a bill to criminalize SPICE ingredients and to help law enforcement press charges against dealers. This spring, Rep. Pamela Powers (LD9-D) negotiated the inclusion of SPICE ingredients in a bill (HB2033) sponsored by Rep. Heather Carter (LD15-R) on controlled substances, that Governor Ducey signed it into law. SAI leaders are pointing to this victory as an "example of the great things we can achieve when we work together," including bi-partisan cooperation in the expansion of the bill to include SPICE ingredients. Leaders also recognized the Tucson Police Department, St. John's Pastoral Council and the Pima County Health Department for its collaboration. Leaders are now working with City of Tucson Councilmembers Richard Fimbres and Steve Kozachik to follow through on their campaign pledges to pass a stricter local ordinance prohibiting the sale of SPICE in Tucson. One LA leaders celebrated a second election victory for the most vulnerable in Los Angeles County after the March 7 election. Together, with a coalition of other organizations and with the support of County Supervisor Mark Ridley-Thomas, leaders worked to pass Measure Hâ€” a quarter cent sales tax to fund critical services for homeless populations as well as homelessness prevention for those at risk. Unsatisfied with the explanation that the 2016 reforms were not to touch applications already in the works, 100 faith and community leaders of Together Louisiana organized a press conference before the Board of Commerce and Industry's meeting and then sat in on the meeting itself -- demonstrating a rare presence of citizen oversight of a committee that distributed $4.9 billion in tax exemptions last year. Under the watchful gaze of Together LA, the committee unanimously rejected six applications that directly violated the Governor's order and added a "Sunshine Provision" to the ITEP program rules to allow local citizens to learn when exemptions are being considered by local bodies. 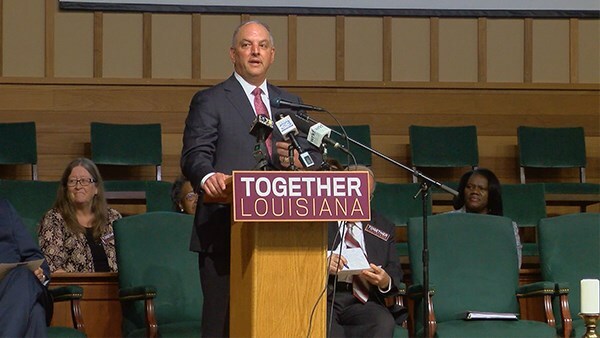 Thanks to Together LA, Louisiana Economic Development must now post on its website, within three days, when proposed tax expenditures are forwarded to local municipalities for consideration, thus beginning a 120 day period for the provision of public input. The following month, the City of Ames further committed to two years of matching funds for an affordable housing trust fund that was created at AMOS' initiative. This move will help the fund gain funding and build momentum, locally. As part of a larger strategy to secure affordable housing options in Portland, Oregon, leaders of the Metropolitan Alliance for Common Good (MACG) and allies secured unanimous passage of an emergency tenant relocation assistance ordinance, persuading an "on the fence" Commissioner to support the measure. 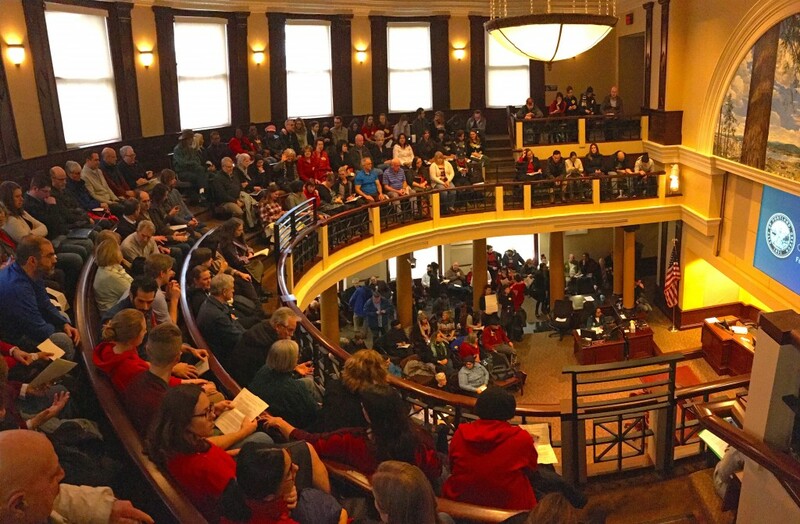 Seventy-five MACG leaders packed City Hall chambers, with direct views of the commissioners as they voted. The new temporary law requires that Portland landlords pay $2,900 - $4,500 to tenants who are evicted without cause or have to move as a result of a +10% rent increase. Leaders see the approval of this temporary measure as a critical step toward providing immediate relief. The plan now is to target the state legislature to pass Just Cause Eviction and Rent Stabilization legislation this year. 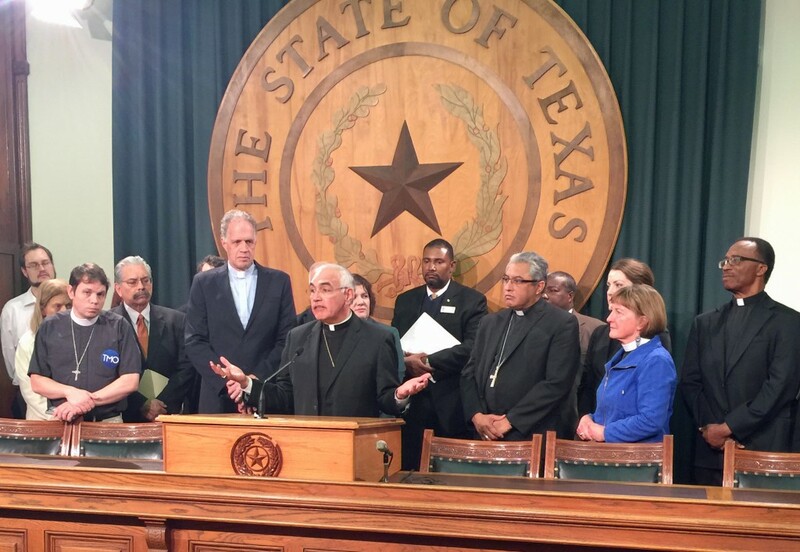 Said Bishop Joe VÃ¡squez, on behalf of the Texas Catholic Conference of Bishops, "We reject the premise that persons who are merely suspected of being undocumented immigrants should be rounded up by state and local police agents." "This bill requires local police and sheriff's deputies to enforce federal immigration laws as if their job of maintaining public order and the public safety weren't difficult enough as it is," said John Elford, senior pastor of University United Methodist Church and member of Austin Interfaith. 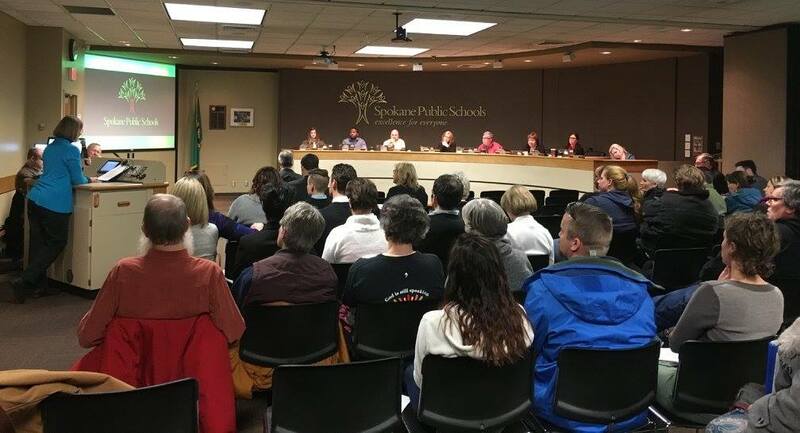 Following almost nine weeks of pressure from Spokane Alliance members and allies, the Spokane Public Schools (SPS) school board unanimously voted to make a public statement on recent school bullying that included four key points leaders advocated for: reaffirmation of the district's commitment to respect all students; commitment to swift enforcement of harassment, intimidation and bullying; contact information for those needing to report incidents; and the context of the divisive year in politics. Leaders testifying at the school board meeting were supported by dozens of parents and community leaders inspiring one leader to say, "It makes me want to cry to see so many people standing up together for children - as I've stood alone with parents so often with no resolution." At the celebration, Dr. Katz agreed to authorize funding to expand healthcare enrollments to reach an additional 54,000 residents!